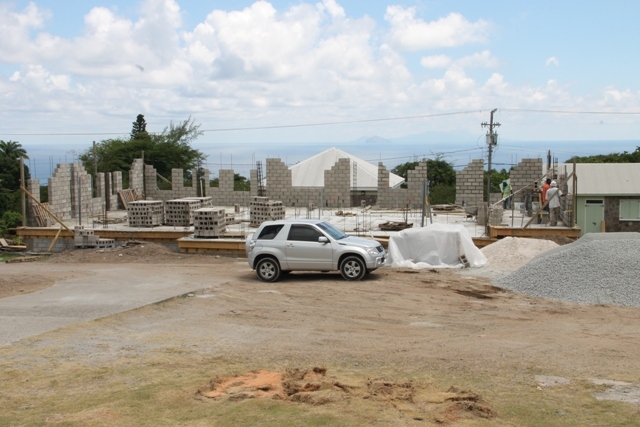 NIA CHARLESTOWN NEVIS (OCTOBER 01, 2015) — Work on a new addition to the Joycelyn Liburd Primary School in Gingerland continues apace and Minister responsible for Housing and Lands on Nevis Hon. 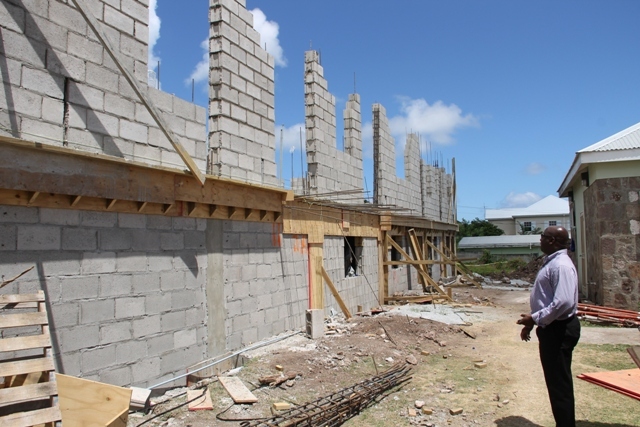 Alexis Jeffers, says the multi-purpose wing funded by the Nevis Island Administration (NIA) will adequately serve the needs of students, staff and parents. Mr. Jeffers made the comment when he toured the construction site for a first-hand look at the project’s progress on September 28, 2015. He said on completion in December, the 3,000 sq. ft. concrete building will provide for an open dining area which will also serve as a meeting room. It will also have a sizable kitchen, 1,000 sq. ft. storage space and two wash rooms. According to the Minister, the expansion which is being facilitated through the Nevis Housing and Land Development Corporation (NHlDC), will also make way for the introduction of the School Meals Programme early in 2016. He said it was the only government-owned school that does not have that service. The Senior Minister noted that the project had the backing of Area Representative and Premier and Minister of Education Hon. Vance Amory whom he said was enthusiastic about the project. 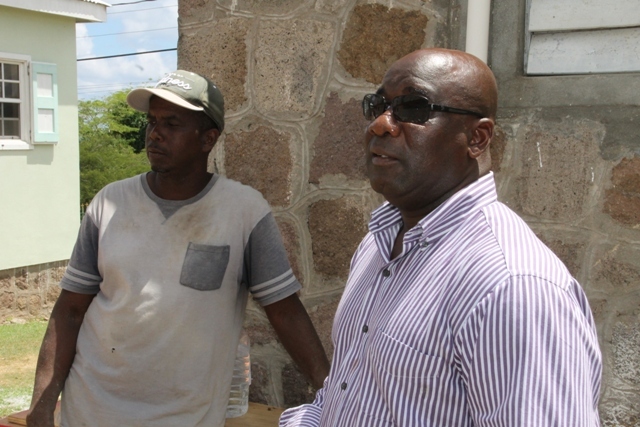 Mr. Jeffers expressed satisfaction with the project’s progress led by contractor Carlisle Maynard. “I am happy with the progress that we have made…He is doing a fantastic job here,” he said. Meantime, the Minister said the initial plans did not include additional storage space. However, due to the actual height of the foundation the decision was taken to include storage because storage space at schools is never enough. He expressed hope that when the facility is completed and commissioned it would be cared for by all who would use it to ensure its longevity.